Power outages are common occurrences around the world. You will be hard pressed to find someone who has never experienced one (unless the sample of people that you ask are mostly comprised of toddlers). The modern world that we live in has become so heavily dependent on power, and for good reason. Electricity powers a plethora of devices from computers, cell phones, smart locks and other home automation devices, surveillance cameras and now even some cars. There are a vast number of uses for electricity and it something that people can easily take for granted, simply because they have never been without it. As a society that leans on power, it is hard to imagine a life without it (unless you’re Amish, and even they use electricity in limited forms). This is one of the reasons why people are so frightened by power outages, especially for prolonged periods of time. People believe that a loss of electricity threatens our way of life, and in some respect it does. Most people worry about the state of their home security in a power outage. How will it perform? Will it hold up effectively in the absence of power? These are all valid questions and they are the kind of questions that homeowners need to carefully, and critically, navigate. Think about it for a second. How many aspects of your home security depend solely power? If there was a prolonged or even a short power outage, would you and your family be safe inside your home? Would you be able to go to sleep comfortably knowing that no one would be able to exploit your security? Forgive me for all the questions, but this is an extremely important issue that many homeowners neglect and I want to make sure that you are staying as safe as possible. The first step to making sure that your home security remains effective during a power outage simply involves taking the time to perform a full (and thorough) security audit of your home security. One of the most egregious things that homeowners do is neglecting their home security measures once they put them in place. I always say and will continue to say, that security is never a one-and-done affair. It is important to make sure that you update your security and improve it as you go along, while you figure out what works for your home and what does not. Assessing your home security and improving upon it is at the very core of keeping your belongings and family safe. For instance, performing a security audit will give you the chance to figure out if the locks to your home or apartment building are fail safe or fail secure. Fail safe locks are electronic locks that are no longer secure when power is lost, whereas a fail secure lock remains secure during a power outage. Fail safe locks are not usually used in residential homes, but they are used in residential apartment buildings. 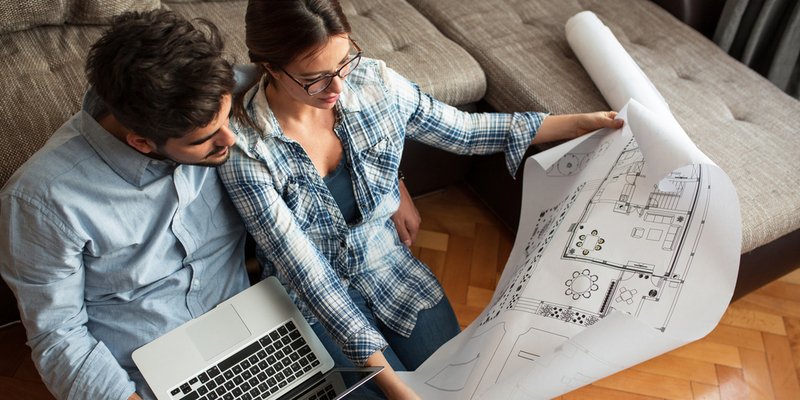 Regardless, it is important for homeowners to know something like this so that they can factor it into their planning process. In performing your security audit, you take stock of all of your current security measures (regardless of whether they depend on power or not) and attempt to test them to ensure that they are working the way they are supposed to. This might sound tedious and maybe pointless, but I assure you it will help. The simple act of performing a security audit allows you to pinpoint specific vulnerabilities and work to fix them or find better-performing alternatives. In addition to this, homeowners should try to implement a maintenance schedule that allows them to you routinely audit their security measures and see if there is any room for improvement. This will involve proper maintenance of your door locks, window locks, security gates and other relevant security measures. The purpose of the security audit is to check the status of all your security measures to ensure that they are still functioning the way they are intended to. Pay close attention to your door locks, window locks, home security alarm system, surveillance cameras, etc. Take stock of anything that needs repairs or upgrades and make sure to get it done in a timely manner. This might sound just a bit vague, but once I explain, it will make sense. In this context, balancing out your security measures means that you should try not to depend too heavily on home security solutions that rely solely on power. For instance, if a homeowner invests thousands of dollars in buying surveillance equipment, it will all be for nothing if they have subpar locks guarding their doors, or if they keep their windows open at night. Ideally, you should let your home security measures complement one another. Let’s take another look at the example I just gave. A homeowner like the one described above will be left completely exposed during a power outage because the bulk of their security will be taken out (and also because they leave their windows open). Most people do not even realize that they might be doing something like this because they have never taken the time to perform a security audit, which is why I said it was important. If you discover that you focus heavily on one aspect of security, make sure you balance it out. This does not only apply to people who forsake secure door locks because they have an amazing surveillance camera installed. It also applies to those homeowners who are stubbornly hanging onto the past. Admittedly, not all aspects of smart home technology are geared towards safety, but there are some gems in there that will help fortify, and round out your security. Make sure that all parts of your security complement each other. Find the balance between traditional home security measures and newere technology that works to enhance it. Take stock of how your traditional security compares to other measures and make sure that there is no weak point that manifests security disconnects. This is an extremely important factor a lot of homeowners do not take into consideration when they are choosing to make home security additions. There are many devices that aid in increasing your home security, but they are only effective as long as they are operational. What is the use of having a surveillance camera that automatically shuts off as soon as there is a power outage? The same concept applies to smart locks, monitored security systems, door sensors and any other kind of powered device that has an integral role in your home security. When purchasing these items, homeowners should make sure that they find out exactly how they operate during a power outage. Some of these devices have auxiliary power capabilities that enable them to continue to function even after power has been disabled. The times for the auxiliary power varies from device to device, as some are meant to only solve the problem of short-term power outages. Even those devices that are meant to solve long-term power outages will not stay on forever. Check if your devices have backup power features that will allow your security to continue to function during a power outage. Pay attention to how long the auxiliary power will run for so that you can plan around it. In order for your home security measures to be truly effective, you need to put in a great deal of forethought. Security can never be truly effective without a commitment to proper planning. This is why many of these measures include actions that you have to take before you ever experience a power outage that might threaten your home security. Investing in a backup power supply has a huge role to play in ensuring that your home security remains effective during a power outage. There are many options available to homeowners when it comes to backup power supply. These range from standby generators to UPS (uninteruptable power supply) systems. You can even use solar panels to charge a battery supply. The final decision that you make for your backup supply will ultimately depend on the number of devices you need to power and also how much you are willing to spend. It is important to be aware of the fact that not every power generator will work in your home. Therefore, you will have to take the additional step of figuring out which generator works best and will help you achieve your security goals. There are namely three types of generators; Home standby generators, Portable generators and Inverter generators. As you can probably tell from the name, home standby generators are the best option for homeowners and these work well coupled with UPS systems. A UPS system (not to be confused with the United States Postal Service) provides instantaneous protection from power outages and circuit shorts, and is meant to give people time to power on their standby generators. Do keep in mind that these systems are not meant to provide power for very long. Determine which power generator works for your home before you purchase one. Determine what you want the generator to supply power to as this will influence which circuit is attached to. Now, in terms of home security, the most important items on this list are a First-Aid kit, flashlights, cell phones and a battery operated radio. 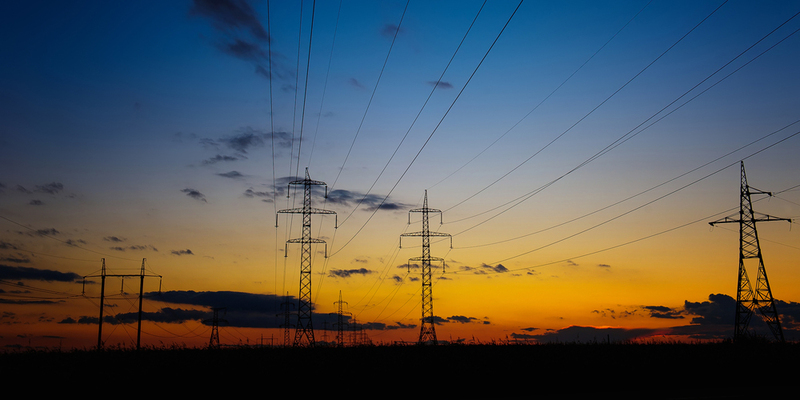 These items are important because if your security is ever jeopardized during a power outage, they might be the difference between a life and death situation. Now, this might be a lot harder than it sounds. Diagnosing the problem simply refers to making an attempt to try and figure out why your power went down. The reason why this is important is because it will help give you an idea of which security measures you should pay the most attention too based on how long you may be without power. There is no set time for a power outage, so for some, it could last as little as 5 minutes and for others, it can end up going on for hours. Once your power goes out, you should make the effort to check your circuit breakers before you report that there has been a power outage. It is often the case that a momentary surge in power could result in a power outage and these are, by far, the easiest to deal with. If resetting your circuit breakers does not do the trick, then you should contact your power company. If you notice anything suspicious while checking your circuitry (cut wires for instance) make it a priority to notify the authorities as soon as possible. They will likely be able to provide you with more information on what is going on. They will also be able to give you an estimate on when the power might return, or on when they will be able to come help you. Check your circuit breakers as soon as your power goes out for signs of overload issues, power grid problems, or sabotage. Reset your circuitry if this was a temporary overload. Call your power provider for more information on a grid based problem. If you notice anything that is out of the ordinary, make sure you contact emergency services right away. There are some people who will say you do not need to reach for your supply kit until after you have kicked your backup power into gear, but I do not agree with that. The reason I don’t believe it is because some elements of your supply kit will help you as you move to turn your backup power on. For instance, your flashlight and cell phone should always be by your side as you move around during a power outage. If the outage occurs at night, your visibility is going to be impaired, so having a flashlight will even things out. Also, if anything should happen to you while you are attempting to initiate your backup power, having your cell phone at the ready gives you an easy means of communication with people. This is even more important for homeowners who have children and the elderly living with them. Children are usually alarmed and frightened by unfamiliar occurrences, and power outages rank high on this list. It is best to prepare them for an outage before it occurs so that the kids in your life do not unknowingly compromise your security. 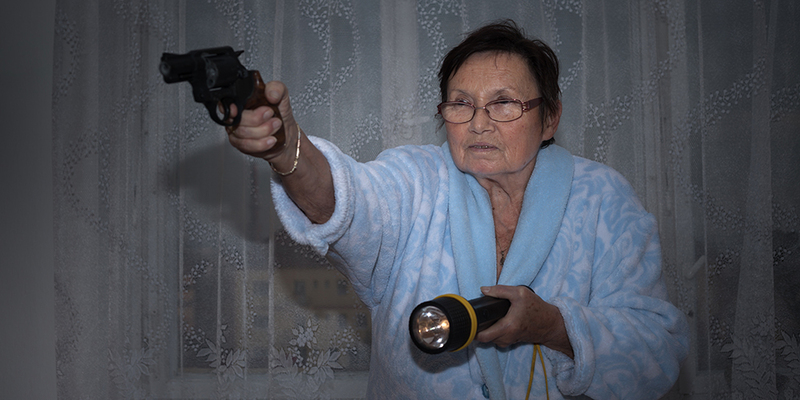 In the case of elderly persons, locating your supply kit will help you dispense water, flashlights and other important items that will help keep them alive and safe in a prolonged power outage. It is important to keep your supply kit close by and easily accessible so that you can reach it in an efficient manner. It is always better to be over prepared than to be caught off guard. Once you have secured your supply kit and distributed items to other members of your household (if you do not live alone), then you can focus your attention on bolstering your security and keeping your home security effective. Your first move should be to grab your power supply kit and distribute its contents among the members of your household. Make sure everyone is accounted for and that they understand how to use and ration the contents of their supply kits. Once you have diagnosed the problem, and located your supply kit, you should then turn your attention to getting your backup power up and running. If you do not have any backup power options, then you can go ahead and skip this section. For many homes, a standby generator acts as the backup power option. Additionally, some homeowners make use of an Uninterrupted Power Supply to provide a limited amount of power to their home until they can get their standby generators up and running. If you have a backup power option, it is critical for you to get it going as soon as possible. Let me explain why. If your home security measures rely heavily on power, you will be flying blind as soon as an outage occurs. This means that your alarm system might be down, as well as your motion sensor lights, door sensors, window sensors, surveillance cameras and even your smart locks. If you have any of these features, almost all of them will be affected, in some part, by a power outage. This is why it is necessary to have a backup system in place and one that can be turned on in a fast and efficient manner. Aside from the fact that it might limit your security devices, it gives burglars and criminals the upper hand because you will not be able to see them coming (or prevent them) and that leaves you very vulnerable. Also, do not be tempted into thinking that since your standby generator is running that you are in the clear. Standby generators do not run indefinitely and they may not be able to power every device in your home so you may still be vulnerable to some extent. Make sure that you power off devices that are not in use and do not affect your security. Now, I know this sounds like something out of the walking dead, but it’s not. However, it might be a good idea to look at burglars and criminals the same way you do zombies. They are out to harm you, your family, and your property, so you want to be ready to handle them while making sure a power outage does not cripple your security. It is important to complete the above steps with haste so that you do not waste a single minute. When it comes to sealing your home off, homeowners should take into account all the possible entrances to their home, no matter how big or small (doggy doors included). Burglars and criminals are always looking to capitalize on the mistakes and oversights of homeowners. It is much easier to make these mistakes during a power outage so you have to be vigilant in order to avoid these mistakes. You can start by checking all the exterior door locks to your home and making sure that each locking mechanism is engaged. If you happen to have a security gate, check that it is locked as well. Front doors, patio doors, basement doors and garage doors are some of the main access points to homes so you can start with those and work your way down. Once you have engaged all of those locks, make sure that you close and lock your windows. For homes that do not have backup power, you can leave a few windows open to allow for ventilation. However, make sure that these windows are within your line of view so that you are alert to anything that is out of the ordinary. Burglars take advantage of doors and windows more than any other access points so these should be your primary focus. Make sure all your windows and doors are locked. Secure all secondary entrance points to your home. If you leave windows open for ventilation, make sure that they are within a visible distance. As I stated in the first section of this article, it is best to choose security devices that have backup power capabilities so that you are not left wanting during a power outage. These devices range from alarm systems to surveillance cameras, and they each have different criteria that will determine whether or not they will be fully functional during a power outage. When it comes to alarm systems and surveillance cameras, the type of system you get will ultimately determine how it behaves during a power outage. Alarm systems that communicate using traditional phone lines will remain active during an outage and your system will still be able to relay messages to your monitoring center via landline monitoring. The only main concern in this situation will be your control panel, but if you have a backup power option in place (or batteries), your control panel should still work just fine (albeit for a limited amount of time). The same concept applies to alarm systems that work with cellular radio communication. These types of alarms will continue to function on reserve battery power, and they will be able to relay alerts to your monitoring center (if you have one). VoIP (Voice over Internet Protocol) based alarm systems are vulnerable to power outages because they work in conjunction with home phone lines and internet connectivity. This puts your alarm at risk because it will no longer be able to relay alerts to you or your monitoring system should the power go down. The same problem applies to Broadband monitoring based alarm systems. Although many of these systems might have backup power options, the most important thing is not whether the alarm is on or not, but whether it is able to communicate and relay messages and alerts to you or your monitoring center. This is why it is important to check the status of your alarm system during a power outage so that you know whether it is relaying alerts or not. One of the best ways to make sure that your alarm is not affected during a power outage is to make sure that your alarm is hardwired to the circuit that your standby generator will power. Check your surveillance cameras, smart locks, and home security systems, to verify whether they are still up and operational. Make sure that all your security devices are on the same circuit, and this circuit should ideally be connected to your auxiliary power. Home security is important no matter the time of day, and no matter the circumstances that might be surrounding your home. During power outages, and times when your mobility and visibility might be limited, your home security should be able to adequately protect you, your family and your possessions. Home security measures do not appear out of thin air. They require time, thought, effort and planning so that when the time comes they function effectively. It is crucial that homeowners plan properly for a power outage before it happens. You can never truly plan for the exact day and time an outage will hit (unless you’ve been notified of it already), but you can still prepare yourself to deal with one when it hits. Whether it is a power outage caused by a natural disaster, a power surge or someone tampering with your circuitry, your home security should be robust enough to remain effective.